ZID-LE system, Feythabolis region. 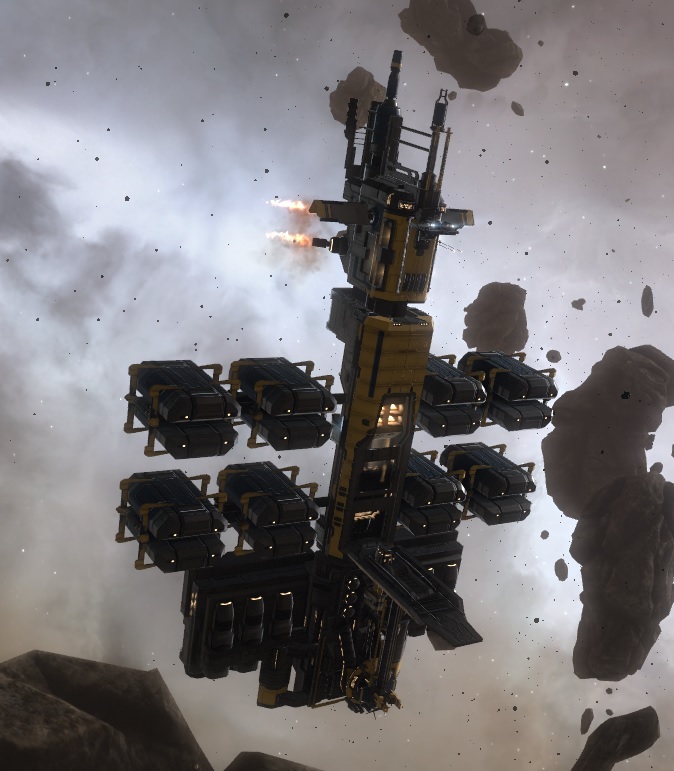 On the 25th of September at 8:00 EVE time, Hard Knocks Citizens [HKRAB] and L A Z E R H A W K S [HAWKS] destroyed a Rorqual capital industrial fleet which had managed to evade them for several months. The wormhole alliance has had a long history of operating unchecked in the Drone Regions, terrorizing locals and destroying super capitals and Rorquals with impunity. It even operates a super carrier squadron deep within hostile space, earning it a fearsome reputation. Thus it was not surprising that when its scouts spotted a large Rorqual mining operation in the 7F-2FB system in the Outer Passage region that the alliance would try and destroy it. The Rorqual fleet flew under the flag of the ALL41FandF [ALLFF] corporation and was busy churning asteroids day in and day out. Hard Knocks Citizens took a stab at destroying it in July using a Sleipnir command ship fleet. The fleet failed to tackle the majority of the ships, only snagging a couple of the capital industrial ships as well as a dreadnought. Resolved to try again, the alliance struck in August, utilizing a Loki strategic cruiser fleet. This time proved disastrous for Hard Knocks Citizens. The Rorqual fleet rather than run away, chose to stand its ground and fight. The Rorquals had been equipped for battle, their fit geared towards drone tracking and damage amplification rather than the traditional shield buffer or active boost configuration. Hard Knocks Citizens quickly found itself overwhelmed as the combined drone firepower overcame the strategic cruisers’ shields, its logistics wing unable to cope with the damage output. Inevitably, the Hard Knocks Citizens fleet was forced to retreat, incurring major losses and only managing to destroy two of the Rorquals in retaliation. It was another defeat, one that stung deeply as the owner of the Rorqual fleet taunted the alliance as it withdrew. 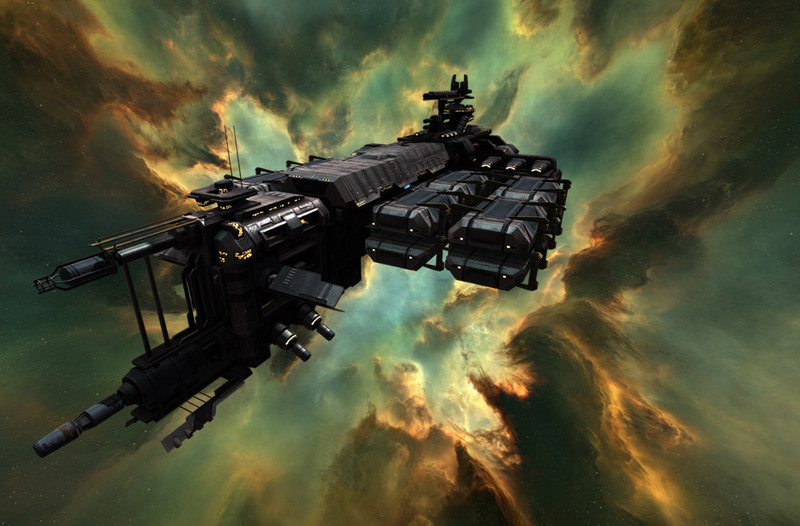 Hard Knocks Citizens was simply unable to counter the raw damage of the Rorqual fleet without bringing its super capital fleet in but were unable to do so. Several factors conspired together to deprive Hard Knocks Citizens of its super capital support. The system in question was an offshoot of a pipe, with plenty of mobile warp disruptors anchored on gates leading to the system itself, slowing down the advancement of ships, in particular super capitals, as well as telegraphing their position ahead of time. The system itself had a cynosural jammer installed and active throughout the mining operations, meaning that it would be impossible to jump the super carriers into the system itself. The owner of the Rorqual fleet itself was a crafty person who kept tabs on the location and movement of the Hard Knocks Citizens’ super capitals as well as known associates. Lastly, the Rorquals themselves operated only on weekdays during the Australian time zone, meaning the alliance would have difficulty drawing sufficient numbers to fight the Rorqual fleet. Agonizing over the previous defeats as well as the overall challenge the system presented, Hard Knocks Citizens’ fleet commanders came up with an ingenious idea. Rather than try to storm the castle, let the castle’s owner leave it on his own accord. It was a simple solution. Thus Hard Knocks Citizens kept tabs on the Rorqual fleet, waiting for it to move out to a more exposed territory. The owner itself had let slip that he was going to move to the Feythabolis region before, so Hard Knocks Citizens simply waited for him to do so. On the 25th of September, more than two months since the first incident, Hard Knocks Citizens came to collect its dues. The Rorqual fleet had finally departed the Drone regions, moving to the greener pastures of Feythabolis and settling in the ZID-LE system, foolishly thinking it was free of the shadow of Hard Knocks Citizens. There, it resumed its routine of mining weekly with little fear. Hard Knocks Citizens in the meantime prepared its trap. The area had little to no anchorable warp disruptors to slow down its movement and the target system lay in a pipe rather than a dead end pocket. These factors worked to Hard Knocks Citizens’ advantage. Allthough it did not have the super capital umbrella it enjoyed in the Drone Regions and the system itself was again jammed, the alliance found a way around it. It secretly seeded dreadnoughts and force auxiliaries in range of the system; Two Phoenix dreadnoughts and two Apostle force auxiliaries. The latter had been prepared to serve as a logistics backbone for the sub capital fleet – The lesson learned from the previous engagement. All Hard Knocks Citizens had to do was wait for an appropriate wormhole to open into the region. When such a wormhole was finally located, merely three jumps from the target system, Hard Knocks Citizens acted. It called L A Z E R H A W K S in order to bolster its fleet numbers and together formed a joint 47 pilot Loki fleet. The force entered the Feythabolis region and immediately lit a cynosural beacon to bring forth the dreadnoughts and force auxiliaries in. While the capital ships materialized on grid, the fleet’s interdictors burnt ahead, racing to the target system to tackle and hold down the Rorqual fleet. The interdictors had little difficulty in locating the Rorquals, busy mining in an anomaly, and proceeded to hold them down with warp disruption probes while the fleet travelled the few gates separating it from its future victims. A few of the interdictors held back and rather than join their friends in the anomaly, got into a position near a Fortizar citadel the capital industrial ships used to park themselves. There they got into a position to deploy a drag bubble, making sure that any ship trying to flee to the safety of the citadel would get snagged by them. The Loki fleet made it to the system and warped to the anomaly. Once it landed, its dreadnoughts entered their siege cycles and started bombarding the Rorquals. The strategic cruisers quickly added their firepower to the mix and one by one the capital industrial ships succumbed to the barrage. The Rorquals tried to return fire, unleashing their drone swarm, but thanks to the presence of the Apostles were unable to inflict losses on the strategic cruisers. With no Pulse Activated Nexus Invulnerability Core (PANIC) modules equipped, the Rorquals were easy prey for the Loki fleet. Realizing the fight was lost, the remaining Rorquals tried to exit their industrial core cycles, change fit via mobile depots, and warp out. However, the Loki fleet was not about to let them do that and shot down the still deploying depots, destroying them instantly. A few ships did manage to warp off but met with the drag bubbles and were left stranded hundreds of kilometers away from the safety of the citadel. Once the main Rorqual fleet was destroyed, the Loki fleet moved to eradicate the few survivors tackled near the Fortizar. Only two Rorquals managed to escape the slaughter, leaving 20 of their brethren to be destroyed. With the last Rorqual dispatched, Hard Knocks Citizens and L A Z E R H A W K S proceeded to loot the field, relishing their victory over their elusive target. Once the field had been stripped of valuables and salvaged, the capital ships jumped out of the system to safety while the rest of the fleet made its way back to the wormhole, thus ending the fight. A battle report for the ZID-LE system can be found here. 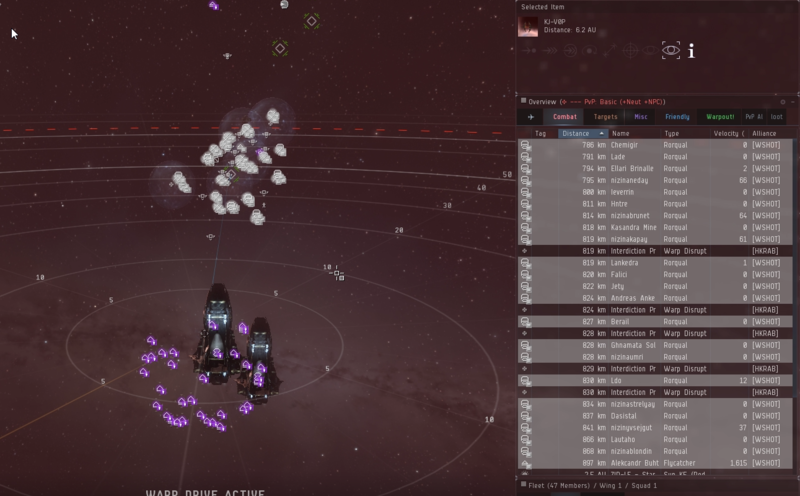 Hard Knocks Citizens and L A Z E R H A W K S lost only 1.3 billion ISK in interdictors while its target lost 20 Rorqual industrial capital ships for a total sum of 168.8 billion ISK. Did you enjoy this battle report? Please consider supporting CZ.